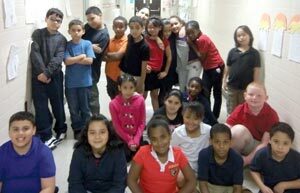 Air Quality Partnership: Lehigh Valley ~ Berks - For Schools - Win a Pizza Party For Your Class! Win a Pizza Party For Your Class! Thank you for utilizing the Adventures in Air Quality Interactive Learning Experience. Please fill out and submit the form at right for a chance to win a Pizza Party for you class. *Only schools located within the Air Quality Partnership of Lehigh Valley – Berks are eligible to win this contest, which includes Berks, Lehigh and Northampton Counties. All entries must be received by October 24, 2014. One winner will be chosen and notified via email or telephone no later than October 27, 2014. I would be interested in receiving the Air Quality Partnership Newsletter.